To do a good photo essay – while you’re also doing a radio piece – requires lateral thinking on the fly. In addition to thinking through questions and sound posts, you also need to figure out the visual building blocks you’ll need for your essay. Make sure to carve out time to shoot and maybe enlist some help. Know your opening radio scene, know your first image. I needed an establishing shot, so I had my assistant, Yang, take this photo at a rest shot. I should have gotten more pictures along the way, but the drive was 14 hours and I was fighting the darkness. Simultaneously shooting & recording is impossible. If you have a complex action scene, get help. 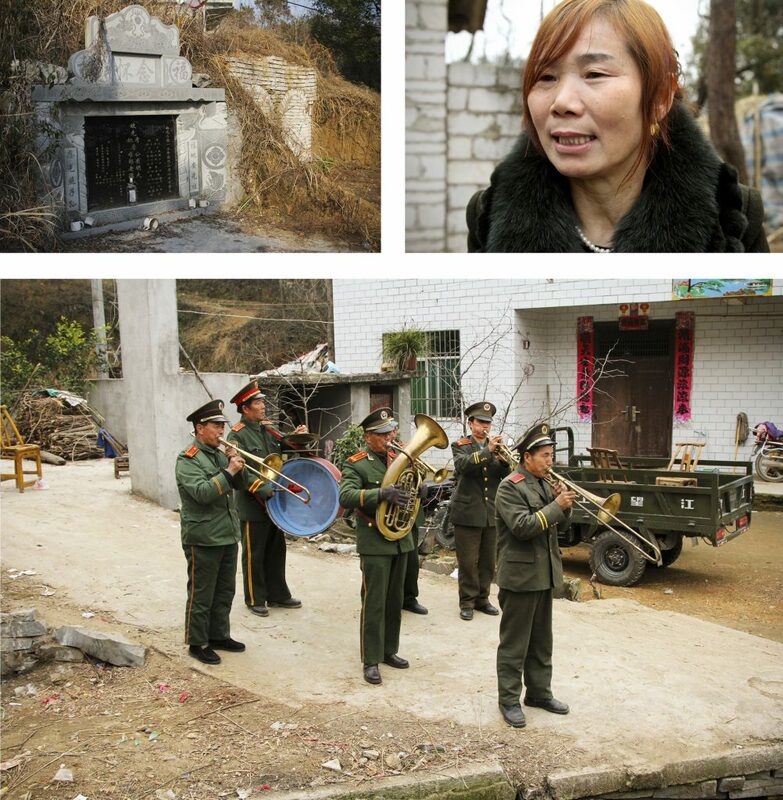 When we arrived at Rocky’s village, I immediately shot pictures of the brass band of farmers in the People’s Liberation Army uniforms because they were gold. I knew this would be my opening wedding day shot in the village. As I snapped away, Yang worked as a producer, grabbing crucial sound that would open the scene on the radio. Anticipate the money shot and keep moving. After I shot the brass band, I ran up a hill on a separate path to set up for the wedding party as it arrived at the groom’s house, which I knew would be the next picture in the sequence. Figure out who your main character is and shoot a ton. I kind of blew this. Rocky’s mom is the hero of this story, but I only got to her at the end of the day when the wedding was over, we were all tired and light from the already overcast sky was fading. Then shoot even more. I shot 1,500 pictures, mostly junk. But by sending all of them to [photo editor] Kainaz Amaria, I gave her choices as she tried to string a narrative together. She was able to see special qualities in photos that I didn’t think were very good and – otherwise– might not have sent. Then [web editor] Greg Myre was able to help me craft text that provided context and connected the images. 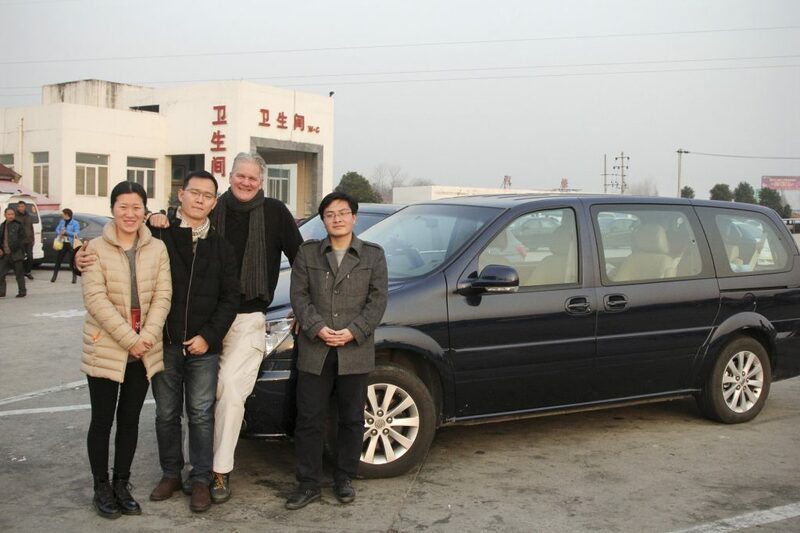 Frank Langfitt is NPR’s international correspondent based in Shanghai. 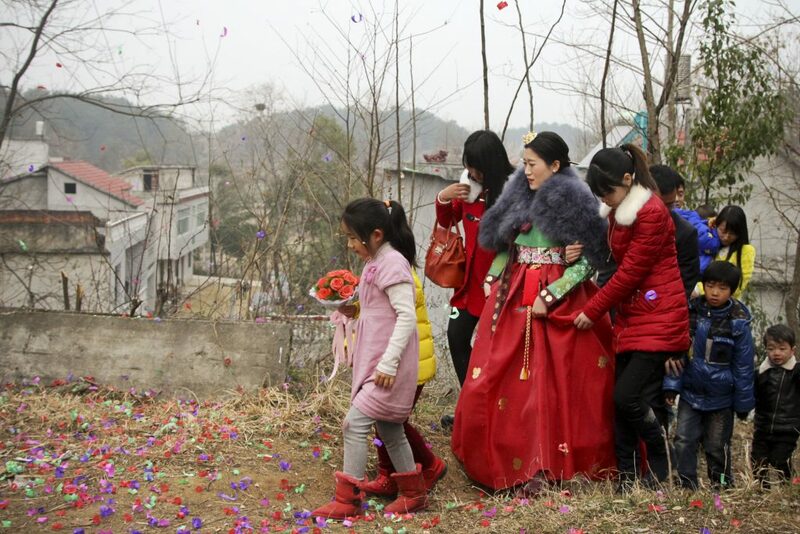 He put together an excellent photo essay about accompanying a couple to their wedding in rural China (also available in Mandarin).